Dalia (USA): “At the beginning of summer 2017, I was an inexperienced 13 year old girl. My family’s involvement in Nepal had started when I was three, so the orphanage was a large part of my childhood. My sisters took over, creating incredible fundraisers. Ten years is a long time to wait, so I was–unsurprisingly–excited to be included last summer in the plans to visit Aishworya! The suspense leading up to Nepal was huge, and so was the night before I met the most amazing people, ever. But when I did finally meet them, I was so timid! I knew no names, just faces from pictures. But yet, they invited me with open hands and hearts. I was surprised, for, on the way to the orphanage, stray dogs, dust, trash, poverty, and pollution stuck out to me like lightning. I realized then, that the most unlucky were the most giving and loving. Every night at Aishworya, we would have an activity planned for them. I wanted to get their creative and fun side out, so I had decided to bring ‘Rainbow Looms’ from America, to create bracelets, necklaces, charms. As soon as I opened the box, everyone went crazy, from the young boys to older girls, even a little two-year-old girl wanted to make some bracelets, and also Ama had fun making bracelets. And although the evenings were tiring, as I had to be everywhere, helping here and there unceasingly, it was the beginning of ecstatic nights of fun, smiles, and laughter. But the thing that struck me the most was several of the girls made a bracelet, asked me for my help, and then when I gave it back, they refused to take it, saying that the bracelet was for me. The gesture were unforgettable and so gracious. I could not thank them enough. I wore it for the rest of my trip and still do, in remembrance of Aishoworya. While the kids were in school, we made smoothies. We used a blender from the Home and bought fresh fruit from local markets. Smoothies were usually accompanied by some chocolate and cookies for the children’s afternoon snack that we were bringing to school. They would be so happy, it was their break in a very long and studious day. The vitamins were much needed in their case, right before starting with homework. We also built great memories when we took everyone on a field trip to the Amusement Park in Kathmandu. What a fun day, exhausting as at some point I had to keep my eyes alone on 21 little kangaroos jumping from one activity to another, but what a joy to see the lights in the young eyes! 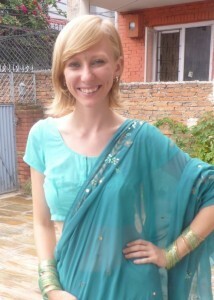 Hanna (Italy): “My husband and I spent a month in Nepal visiting the current projects of our organisation, ProNepal. One of these projects is Aishworya Children’s Home, where we support some of the children by private sponsors from South Tyrol, (Province Bozen, Italy). We spent a pleasant day with the children outside the city. We went to some holy places, like Budhanilkantha and a Buddhist monastery. We also gave the children a good meal and ice-cream. Line (Denmark): “When I arrived, many children – whom to my surprise spoke perfect English, greeted me! I already felt welcome the first evening, and the coming days I had so much fun. They are very smart, some are shy, some very open, all very different, but all of them are well behaved. Being a volunteer at Aishworya gives you a very safe place to be, and you have a lot of different possibilities to use your skills, whatever it is – teaching, caring or fundraising, if you have ideas for new project, they are happy to listen. 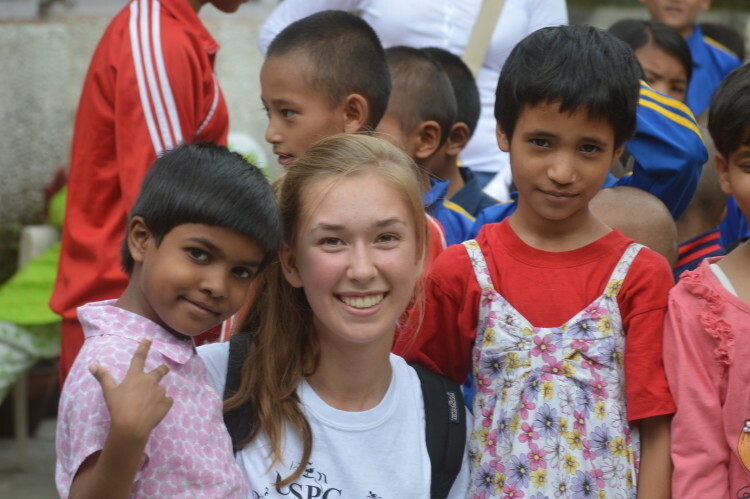 Being a volunteer here also gives you time to experience Kathmandu, for instance when the children are at school. You can also choose to help at the school, hang out with the staff, help cooking or other help needed. I was very impressed at how well organised it is. A lot of children and they are all helping each other, and still having time for fun. The staff are very kind and know how to motivate the children. 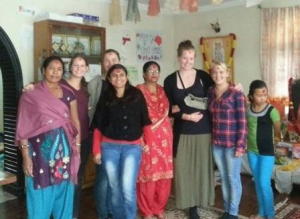 I would say that the staff are very modern, and they have unique experiences, it is a perfect way to learn about the Nepalese culture, because they have insight from a different perspective. 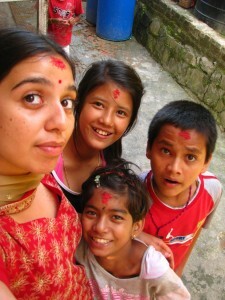 Nepal is in general an amazing country, the culture, the nature and the food. So if you are consider going, go! You will not regret it”. Nanny, Sara, Trine and Sandra (Denmark) stayed with us for several months. They brought food and winter clothes for the children and took them on outings to Thamel and the Zoo. It was wonderful to have them – they spent so much time with the children and we were very sad to see them go. We hope they will visit again when they can! Flavia and her friends (Italy) volunteered for five months. They provided Aishworya with a solar panel to provide electricity during the frequent power cuts. We are so grateful! Mette (Denmark): “We really enjoyed our stay at Aishworya and the opportunity to meet and spend time with the amazing children and staff. 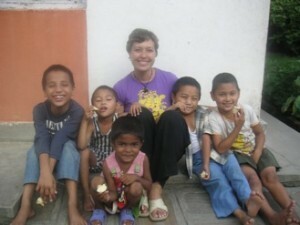 We stayed for a month and helped with daily chores in the kitchen, taking the kids to school and teaching/playing with all the kids in the afternoon. We were very surprised how open minded the kids were, and we felt very welcome. We experienced the colour festival and had so much fun with the kids, neighbors and locals. We took all the children to the zoo and held a party with snacks, balloon-dance, games and singing. We made spelling games and took the kids on a walk in the neighborhood while practicing words and spelling. We also bought a new football and some LEGO from Denmark – which the kids enjoyed playing with. Aishworya does an amazing job taking care of the children and creating a substitute family. The kids are very sweet and warm and take care of each other as the older kids care for the younger. 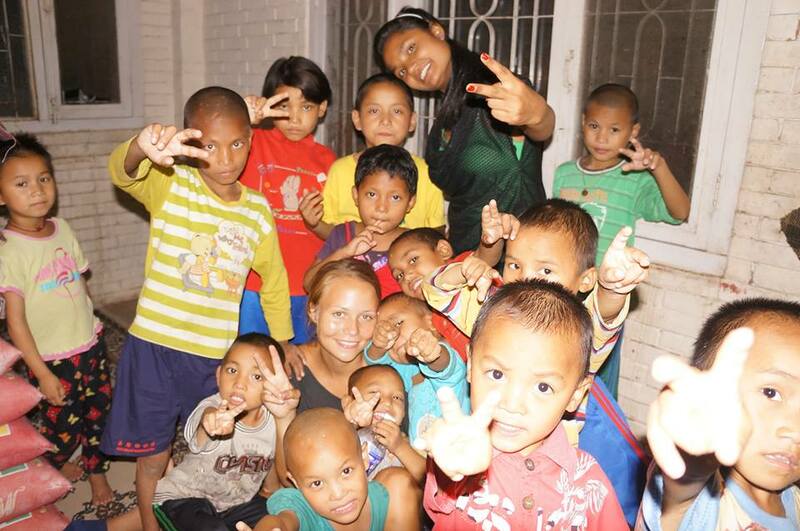 As a volunteer you can help make a better and happier childhood for the children”. Annukka (Finland) raised funds to buy the children new school bags and clothes. Over Christmas she was busy knitting socks, gloves and hats for the children, and helped to prepare some wonderful Christmas presents and surprises for the children. 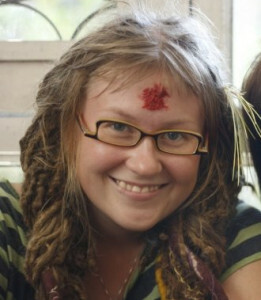 Veronika (Slovakia) was a huge help – especially in the kitchen, where she learnt to cook Nepali food and taught the children how to cook Slovakian food! She enjoyed learning about Nepali culture and the opportunity to attend a traditional Nepali wedding with Nirmala’s family. Halbera (Iceland) loved playing with the children and especially liked traditional Nepali clothes. She taught the children a lot of interesting facts about Iceland which the children loved. 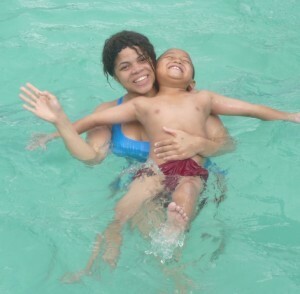 Carla (UK) really enjoyed her time at Aishworya and took the children on some lovely excursions, including a trip to the swimming pool. The children loved asking Carla questions about her background and home life, and learning more about the UK. Kaisla (Finland) taught the children a lot about Finland, as well as helping the children with their homework and helping around the house. She says: “I have been very happy to stay here in Aishworya family, and am already waiting for when I can come back”. 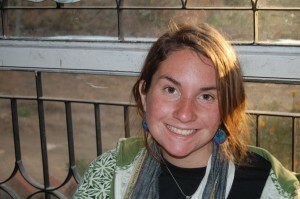 Maluz (Panama) really enjoyed her time at Aishworya, and has stayed in regular contact since she left. She says: “I had the opportunity to spend an amazing time in Aishworya. I participated in fundraising activities that were really nice and fun. I especially enjoyed staying with the kids before they went to bed, we shared really nice stories! I can’t wait to visit Aishworya again”. 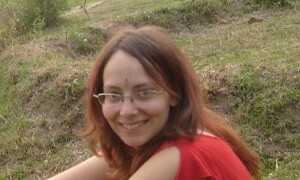 Outi (Finland) and Marianne (below) spent time at Aishworya as fieldwork for their study at the University of Applied Sciences in NGOs and youth work. 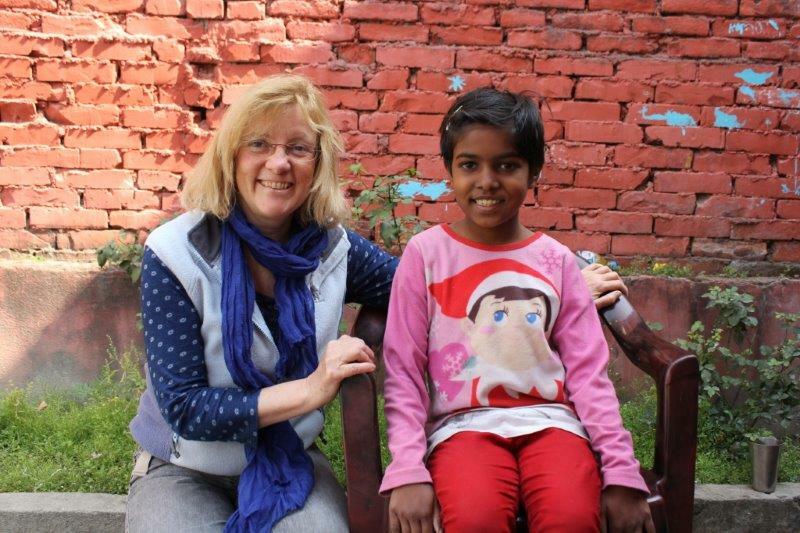 Outi loved spending time with the children, and she and Marianne have worked hard since returning to Finland to promote Aishworya and raise awareness and funds. 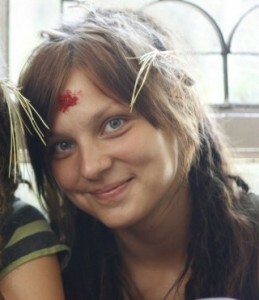 Marianne (Finland) came to Aishworya with Outi (above). Her studies include art and cultural education and her project at Aishworya was about story crafting. She says “I learned so much from the children. Mostly about extreme community living, how more than 40 people can live happily under the same roof and share all! I was also amazed by their enthusiasm to dance, they taught me the Nepali-moves and twists too. The children are so beautiful, funny, lovely and kind. And they all are unique individuals with their own style, it is great how they are let to be like they are, supporting what they themselves find interesting. I think Aamaa and Pramila has made very good job with this home. I wish all the best and happiness. I hope to visit again after some years!”. 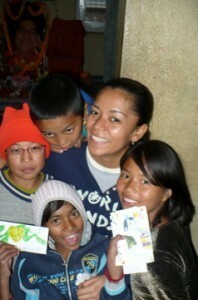 Danielle (California) enjoyed helping the children with math and reading. She loved to help out in the kitchen with the meals and even made popcorn one evening for the children. Those 38 children have touched her life forever. She hopes to return soon. Her mission for the Aishworya Children’s Home for the past two years has been to supply funding for new school shoes for all the children, and we are so grateful for her continued support in this area. Kimberley (New Zealand) says, “I really miss all of the children and staff at Aishworya – I had an amazing time and I hope to get back there soon!”. Kimberley has made monthly donations since visiting and in 2014 began managing our communications and newsletters. Faran, (Luxembourg) adored playing with the kids and seeing how we do things at Aishworya. The children especially enjoyed learning all about Luxembourg! Alex (UK) was a great help to us, and the boys in particular were very happy to have a male volunteer, or “big brother” to play with! 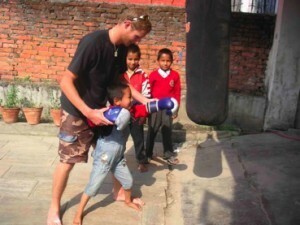 Alex taught the boys how to box and played lots of sports with them, which they enjoyed immensely. 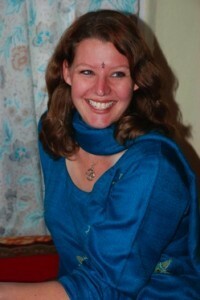 Jennifer (Sweden) loved to take the children out, and she arranged lots of trips to restaurants and the swimming pool. Jennifer has stayed in touch with us and done a lot of fundraising for us. We are extremely grateful to Jennifer for all of her hard work! 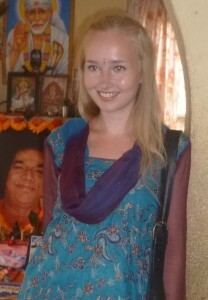 Kathrin (Germany) had a wonderful time. In particular, she enjoyed playing with the children, and helping them with their homework. Anne (Finland) helped to teach the children Maths and English while they were out of school, and helped us to organise our first fundraising event. Once the children were back in school full-time, Anne particularly enjoyed walking them to school each day, and helping them with their homework. Karita (Finland) bought all of the children new math books for Christmas and was also responsible for organising HIV and Hepatitis tests for all of the children, which we are extremely happy to announce all came out negative! She was also a huge help in planning and organising our first public fundraising event. She returned in 2009, and helped us to once again ensure that the children had a fantastic Christmas. 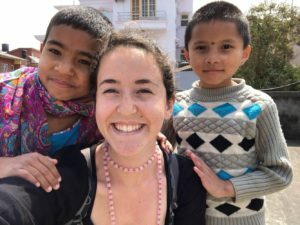 Stephanie (UK) did a lot of fundraising to help get the children back into school, including organising our first public fundraising event, and teaching them English and math in the home. Her favourite part of the day was cooking dhaal bhaat with Jack and Marich every morning. She misses the children a lot and has stayed in touch, visiting us again in 2010. For several years Stephanie managed our finances and account keeping, and helped us by doing some part-time voluntary work on the newsletters and website from the UK. 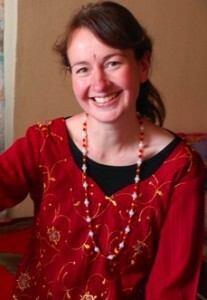 Rosie (UK) helped us to move to our new, bigger premises and has consistently donated money to help out since then. Rosie even returned twice since then to see what progress we have made! She has continued to stay in contact and in 2013 took over from Stephanie (above) in managing the website and all UK donations.